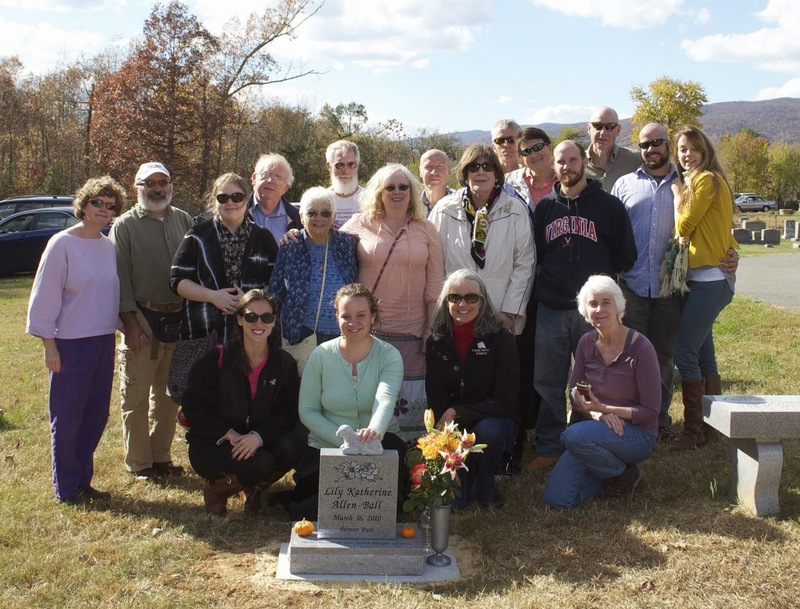 It was a year ago today, on November 2, 2013, that Lily Katherine's stone was finally placed and family and friends gathered for a special service in her honor. I can hardly believe it's already been that long. I cannot express how much peace it has brought me this past year to have her permanent stone to visit, share with friends and family, and decorate for different holidays and seasons. Such a huge blessing and comfort for my heart. You can read the posts about Lily's stone by clicking HERE. How wonderful that so many people were there! It looks like it was a beautiful day.